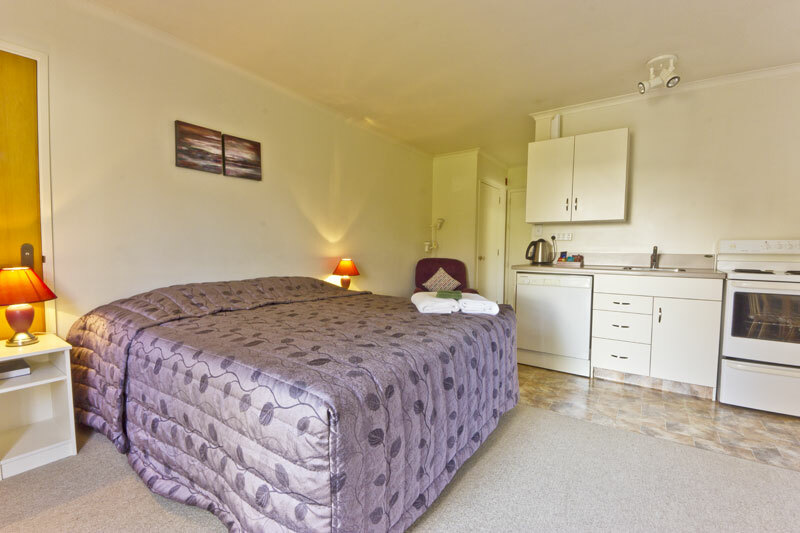 This is a ground floor studio room with a comfortable, king bed (twin single beds if preferred) and full kitchen facilities including stove, dishwasher, and a fridge freezer. 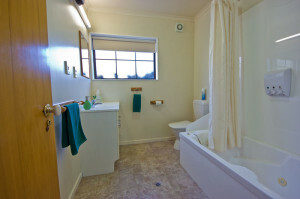 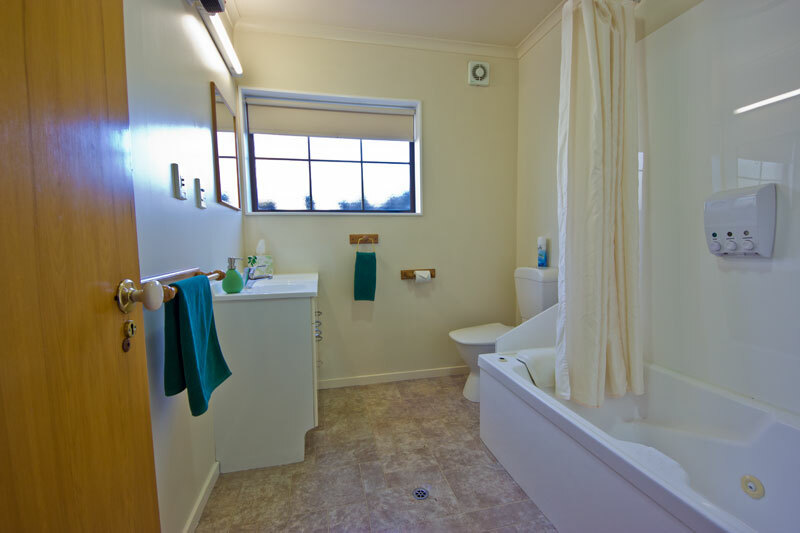 It has a flat screen TV and DVD player, and an ensuite bathroom with a spa bath. 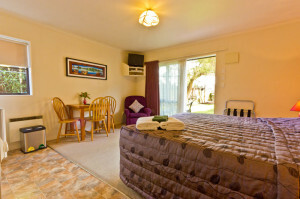 This room interconnects with room 803, and/or room 805 to accommodate a further 2 people in room 805, or up to 5 other people in room 803. Room 804 opens out onto a small, grassy courtyard with a barbecue area and playground.